manny pacquiao | Make Time For Sports. "My fans are very happy because they thought I won." Filipino boxing superstar,Manny Pacquiao, reacts to his split-decision victory over Juan Manuel Marquez. It was the third match-up between the two fighters. In my opinion, Mayweather is a chicken. He is doing everything to avoid me just as he did everything to avoid fighting Manny Pacquiao. I don’t want to sound cocky or arrogant but I believe the real reason for Mayweather avoiding me is that he knows I have his number. Mayweather knows if he ever fights me his ‘zero’ will go. 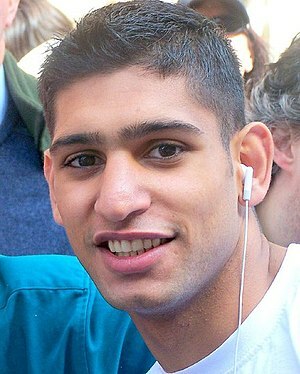 Amir Khan is spoiling for a fight with Floyd Mayweather Jr. The unified WBA and IBF world champion would like to end Mayweather’s streak of 39 unbeaten bouts.